Joanna Wood, International Interior Design Practice is one of the most sought after luxury interior design companies in the world, with the design team based in Belgravia, London. The unmatched professionalism and style of Joanna and her team has attracted some of the highest profile and most prestigious residential, private and commercial projects around the globe. It has extensive experience in both the private residential market and also in the property investment market. Projects have included a castle in Spain, a yacht in the South of France and a private aeroplane. The company is large enough to handle multiple contracts in a multitude of locations, both in the UK and worldwide and is currently working on numerous projects in London, namely in St. James’, Chelsea, Belgravia, Kensington and Knightsbridge, alongside world wide projects in Switzerland, Los Angeles and New York. Joanna brings to each project her care and attention to detail, creating a timeless style that combines traditional and contemporary elements to produce a result which is both practical and visually exciting. She is a Fellow of both The British Institute of Interior Design (BIID), The International Interior Design Association (IIDA) and a member of The Royal Institute of British Architects (RIBA). Joanna’s widely acclaimed book ‘Interiors for Living’ was published in 2015. Originally established in 1948 G & A Kelly was one of Britain’s oldest and most established upholstery companies with a reputation for fine quality craftsmanship. It was rebranded to Lawson Wood in 1995 when Joanna became a partner, bringing with her years of experience in creating elegant interiors, combining British and International traditional and contemporary styles. Every piece of furniture is made to order by craftsmen using the finest materials. In addition to designs from the range, which can be made to any dimension, Lawson Wood also undertakes a large number of special commissions. Retail orders can be placed through the Joanna Wood Ltd shop. 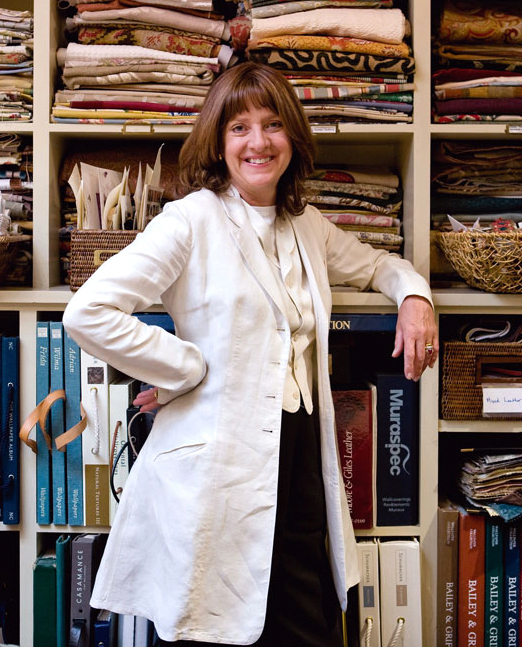 Phillips & Wood was established by two partners, both experts in their own field: Joanna Wood, one of the UK’s leading international interior designers, and decorative antiques retailer John Phillips. First launched at DECOREX 2005 the collection has become an established line for designers of exclusive projects. The collection is constantly expanding with new designs being added regularly. As the London based workshop grows in experience and expertise, bespoke items and revivals of important older designs are a growing mainstay of the items produced, with quality of product and service remaining the key. On the back of its lighting the company has experienced an increasing demand for other items, including mirrors, console and coffee tables, cabinet handles and mounts. Founded by Joanna Wood and textile printer Stephen Lewis; Lewis & Wood is known for its large-scale prints, charming character and sporting fabrics. The designs which draw on a quintessential English sense of establishment and provenance, are beautifully complimented by a choice of cotton and linen checks and stripes as well as a range of Toile de Jouy, taffetas and contemporary damasks. Wallpapers often co-ordinate with the fabric collection and offer a wonderful selection of patterns and colours. Lewis & Wood’s wide width wallpapers are a signature collection, offering large scale pattern repeats for walls with a difference. Retail orders can be placed through the Joanna Wood Ltd shop.